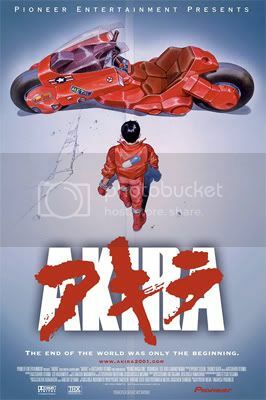 If you have watched Akira the anime, one of the things you will remember should be Kaneda's Bike. 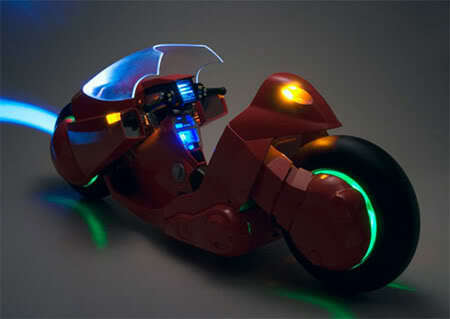 Previously toy maker such as Mcfarlane did a bike with Kaneda with it. However there was not a Kaneda's Bike for 12 inches demand until now...or should I say coming soon. PROJECT BM! 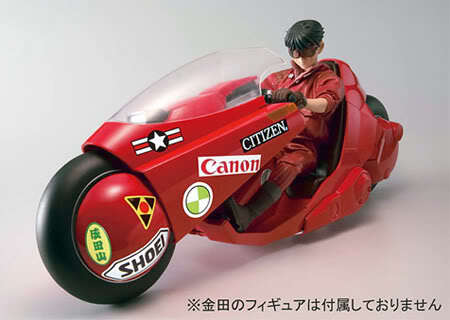 is to produce a Die-cast 1/6 Kaneda's Bike. This die-cast bike comes not only with style but lights and sound as well. Power by 4 AAA batteries for the light-up features such as front and back wheels, headlights, taillights, blinker, and dashboard. As for sound effects, there will be engine start, reverse( not sure is the reserve alert song like those heavy vehicle), driving and even drift sound effect! In case you have never seen the bike in action in anime before or you have forgotten it, here's a short clip. Click here if you are interested to pre-order one. Nice cool bike with neon lightings. Too bad it couldn't transform. I watch Akira when in Poly. My first experience to brutally violence anime. First anime i ever watched and the first anime that caught our attention here in Europe. This is a dream toy for me, seriously tempted to start saving up for it and with money from 1/6 figures i no longer want. It's an excellent piece, but frankly, the price of the bike is unjustifiable, as I paid the same amount and got a 1:6 Batmobile. Hope all the big Akira fans out there manage to score this. I don't think the bike can transform in the first place in the anime.When I first watched the Anime around that time I also feel it quite violence. You are quite right. I would have thought it should be half of the stated price but this has sound and light and it is diecast. So maybe that why the pricing is so high. 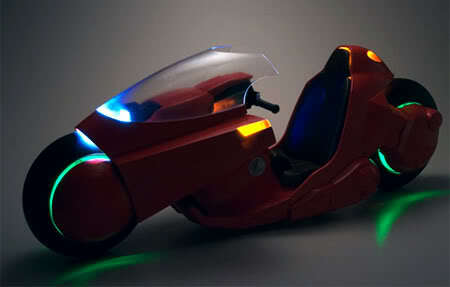 My gawd I want that bike with Kaneda to boot! But that price tag's killing me! This is the one to be released from Medicom next year. The price is around S$600 plus and figure costs around S$280. Very very expensive!! I agree but I wonder do the toy maker hear such feedback...Maybe some diehard fan will still get it as they may have the money and willing to pay for it. If that do happen, the toy maker may continue to tag it at that price tag. It is like exclusive after all. With that price tag, I can get PS3 or xbox360 with loads of games... Better way to spend that money ya?